So, what has any of this got to do with this morning’s Gospel reading? Well the words that the writer of the Gospel of Luke puts into the mouth of Jesus of Nazareth have been spinning round in my head all week long. I keep hearing Jesus quote the words of the prophet Isaiah. “The Spirit of our God is upon me: because the Most High has anointed me to bring Good News to those who are poor. God has sent me to proclaim liberty to those held captive, recovery of sight to those who are blind, and release to those in prison—to proclaim the year of God’s favour.” The year of God’s favour is the prophet Isaiah’s way of describing the year of Jubilee. Written into the Jewish law was a provision meant to address the systemic injustices that creep into the law as time goes by. It is said that every 50 years a Jubilee would be declared. During the year of Jubilee, debts would be forgiven, property would be restored to its rightful owners and prisoners would be set free. We don’t know how often or how widespread the practice of Jubilee was. We only know that it was an ideal held up to the people as worthy. It seems that even the ancients knew that corruption and neglect takes its toll over time in any system. 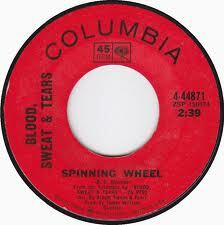 David Clayton Thomas was the lead singer for Blood, Sweat and Tears. David Clayton Thomas is a Canadian. On Wednesday, David Clayton Thomas wrote an article that appeared in the Globe and Mail. I’d like to read that article: “I’m not an expert in the criminal justice system. Just a product of it. The story of Ashley Smith, the teenager who strangled herself in her prison cell as guards watched, has prompted me to speak out. But for fortune, that could have been me. At 15, I ran away from a brutally abusive father. Homeless, freezing, I broke into office buildings for a place to sleep. It was a relief to be arrested. At least it meant a roof over my head and three meals a day. I did not know it also meant a free education in a predatory, upside-down society where the strong rule, the weak are victimized and the inmate code is all that matters. The guards lock the doors and enforce the rules, but the inmates run the joint. Break the rules and you get a few days in the “hole.” Break the code and you can get killed. Fighting is a survival tool, but it’s assault in the eyes of the law, punishable with more time. If a kid is driven to attempt suicide or self-harm, well, that’s also punishable. That’s how Ashley Smith, originally charged as a juvenile with a minor crime, ended up serving time as an adult. I was just one of thousands of lost, homeless kids – kids you see on the street every day. I was not beyond redemption; they just treated me as if I was. The lessons of prison guarantee failure after release. In no time I was back, recycled for four more years in hellholes like the Burwash Industrial Farm, a notorious labour camp south of Sudbury that has since been closed. Are we treating troubled kids any differently today? Clearly, the vicious cycle of recidivism is alive and well. A staggering 90 per cent of young offenders sent to prison reoffend within two years, according to a recent Manitoba government report. And meanwhile, despite evidence that it is ineffective policy, the federal government is getting “tough” on crime, imposing mandatory sentencing and building more prisons to house more criminals, even as the crime rate continues to fall. More and more prisoners show up with mental illnesses. They don’t get better in jail. They get worse. Every one of these men and women was once a kid we didn’t care about. These aren’t “other people’s” kids. These are your kids, your neighbour’s kids. A full 6 per cent of Canadian children aged 12-17 were accused of a crime in 2010, according to Public Safety Canada statistics. Most were not charged or imprisoned. But new changes to the Criminal Code will ensure that ever more of them are crushed in the gears of the criminal justice system. Music saved me. It was a crazy fluke that I ever discovered my talent. At the age of 21, two convictions under my belt, I walked out of Millbrook prison with 20 bucks in my pocket, a mail-order guitar and the dream of becoming a blues singer. I survived a system that fails us all. Not Ashley Smith. Nobody ever messed with me when I started high school. While my classmates faced the trials and tribulations of being first year students, nobody bothered me. Being Kenny’s friend had all sorts of perks. Kenny took care of his own. Kenny was wild, and always getting into trouble, and all the girls wanted to be near Kenny. There’s just something about a bad boy that teenage girls find so attractive. That Kenny actually spoke to me did wonders for my social life. Unfortunately, Kenny didn’t last long in high school. He dropped out shortly after the Christmas holidays. I heard of him from time to time. He was in and out of reform school and then in and out of prison. I ran into him in the city once. We were in our twenties. I was working for a tour operator and Kenny was looking for work. We shared a cup of coffee. Talked about the old days and promised to meet up for a drink sometime. I heard years later that Kenny died in prison. He would have been about 35 when he died. I don’t know what he was in prison for. I don’t know how or why he died. I don’t have the answers. I do know that each of us shares a responsibility to at the very least ask some questions. We need to ask the tough questions so that together we can figure out what jubilee might look like. 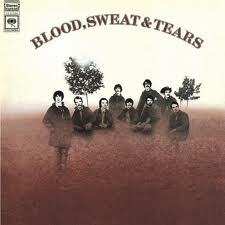 Blood, Sweat and Tears last big hit was a song entitled: “And when I die.” Like all of their music, I don’t ever hear a Blood, Sweat and Tears tune, without thinking of my friend Kenny. “The Spirit of our God is upon me: because the Most High has anointed me to bring Good News to those who are poor. God has sent me to proclaim liberty to those held captive, recovery of sight to those who are blind, and release to those in prison—to proclaim the year of God’s favour.” Let the spinning wheel spin! Amen. This entry was posted in HOLY CROSS LUTHERAN, Home, SERMONS, Theology and tagged Ashley Smith, Blood Sweat & Tears, David Clayton Thomas prison, Epiphany 3C sermon, Luke 4:14-21 progressive Christian sermon, Lutheran sermon Epiphany 3C, Lutheran sermon Luke 4:14-21, progressive christian sermon, progressive christianity, progressive theology, release to the captives by Rev. Dawn Hutchings. Bookmark the permalink.